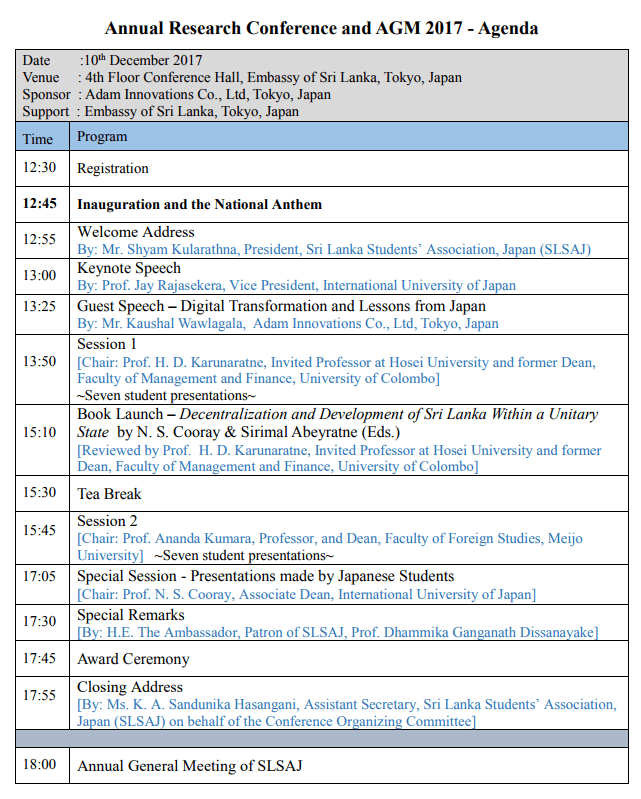 SLSAJ Annual Conference will be held on 10th December 2017 at the Sri Lanka Embassy in Japan. If you wish to present at the conference, please submit an abstract (Approx. 200-300 words) on your research findings by 15th November 2017 (Wednesday). New members can present their undergraduate/master’s research findings. All the presenters will receive a valuable certificate, in appreciation of their contribution to the conference.